Please join us at our May General Meeting. 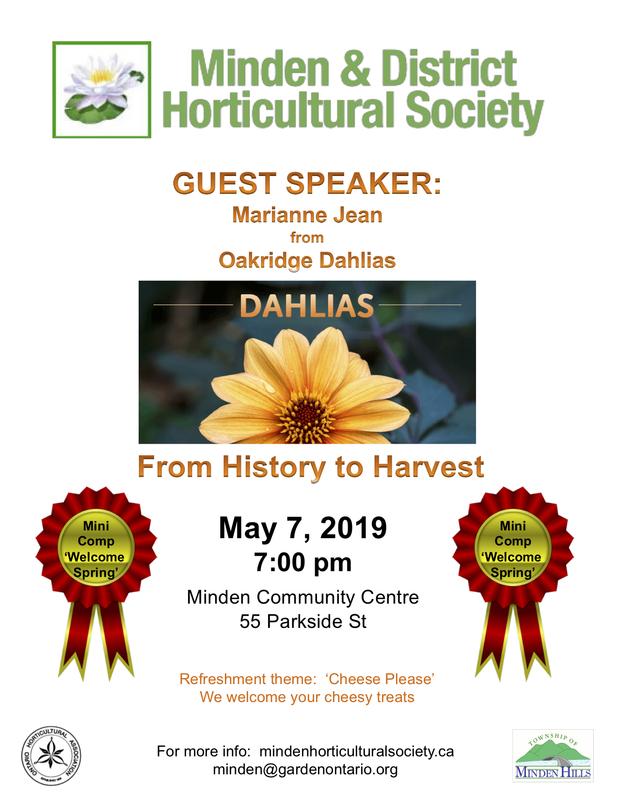 We welcome Marian Jean from Oakridge Dahlias in Port Hope where they are dahlia growers and dahlia tuber suppliers to Canadian gardeners. Marian’s discussion will be about “Dahlias; from History to Harvest”. We are excited to have our first of 3 mini competitions for the year. The theme of this competition is ‘WELCOME SPRING’. Please refer to your yearbook (page 13) for the competition classes. Our meetings going forward for the rest of the year are held in the evening, with a start time of 7pm. We look forward to seeing you!